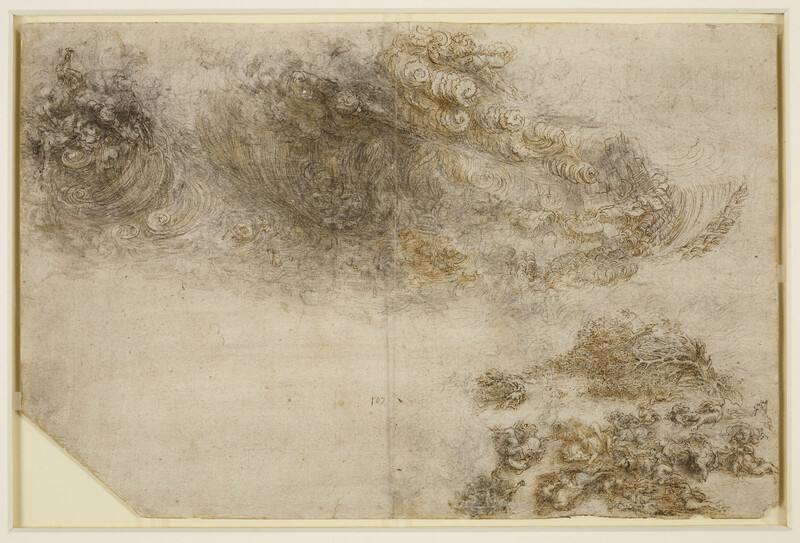 A drawing of a hurricane assailing a band of horsemen, with trees bent to the ground. In the upper part flood water full of wreckage, is touched by clouds and rain from a gigantic water spout. In the clouds are storm gods, and on the left child wind gods control the water spout. The lower left corner has been cut off.